If you have been searching for that perfect gift for your fishing mad husband, son, father,brother or friend, then look no further. 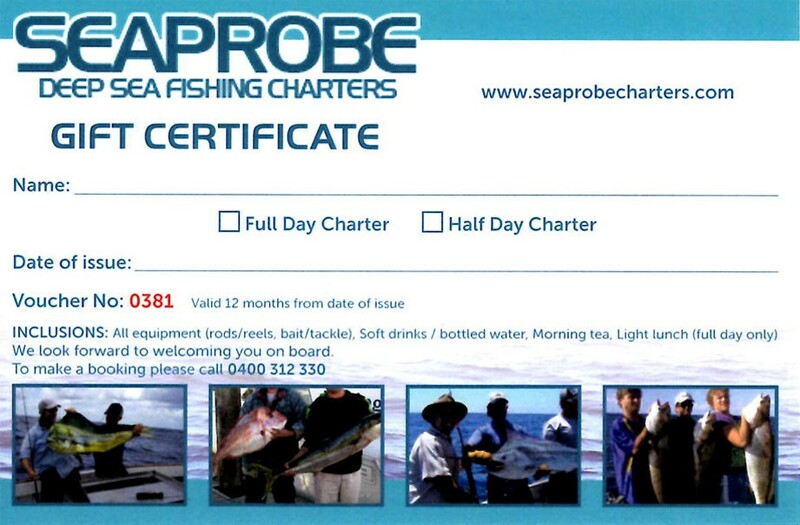 Sea Probe Deep Sea Fishing Charters now has gift vouchers available for the fishing adventure of a lifetime! For individual or group vouchers, on any of our fishing adventures, sightseeing cruises, and more, check out available vouchers today! Call us today to learn more on 0400312330.